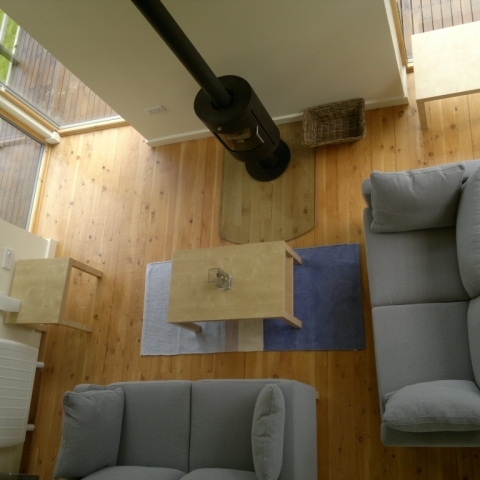 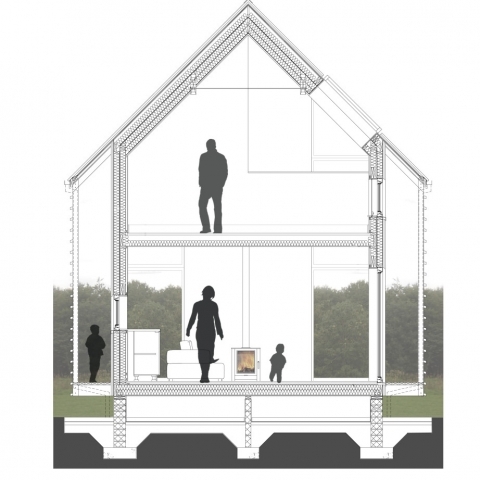 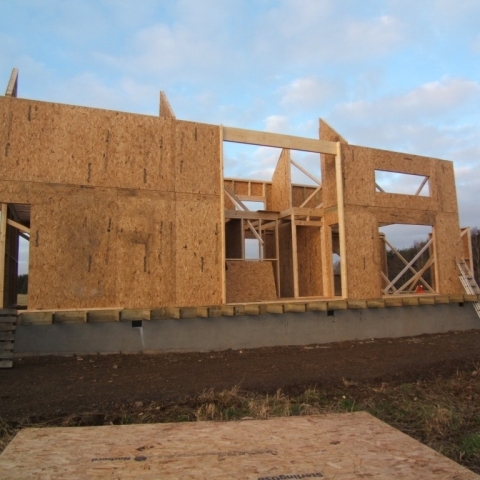 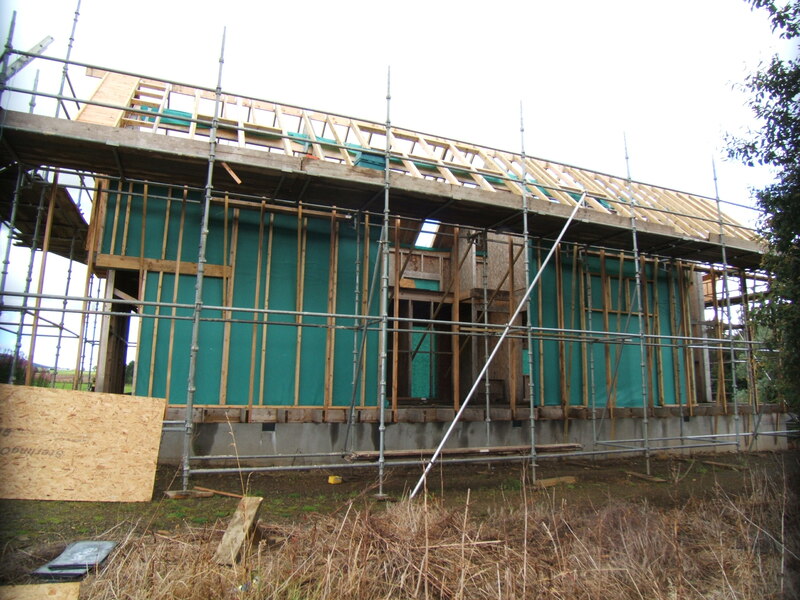 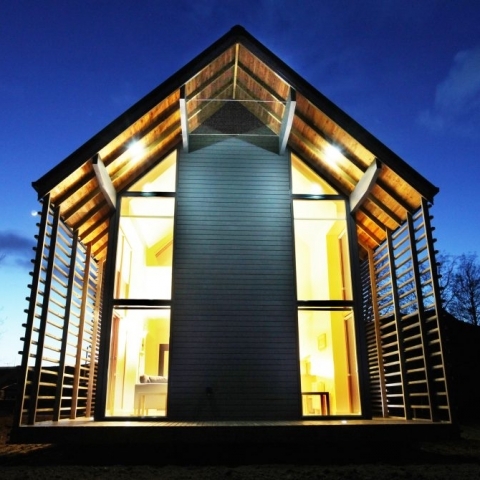 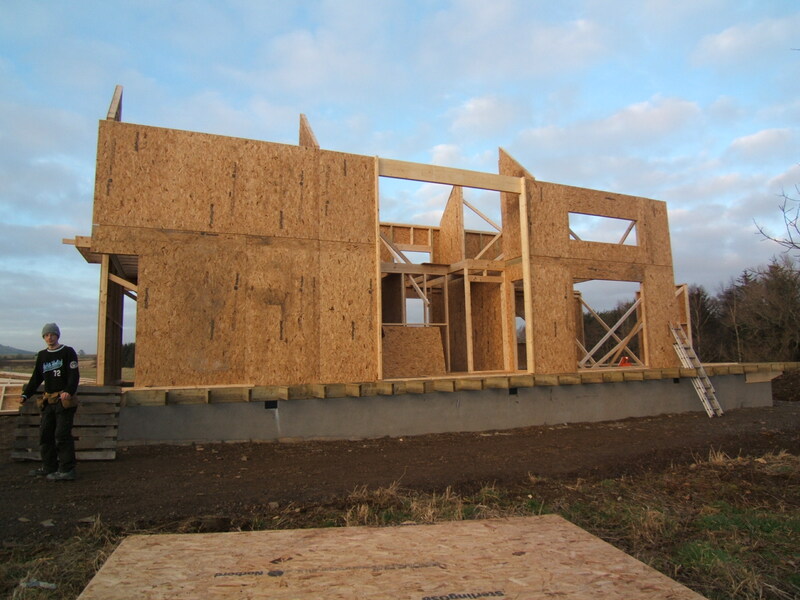 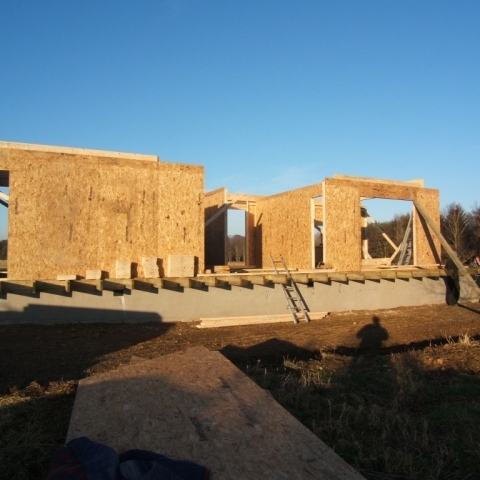 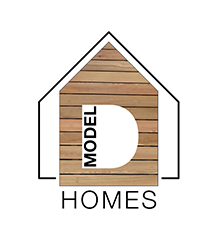 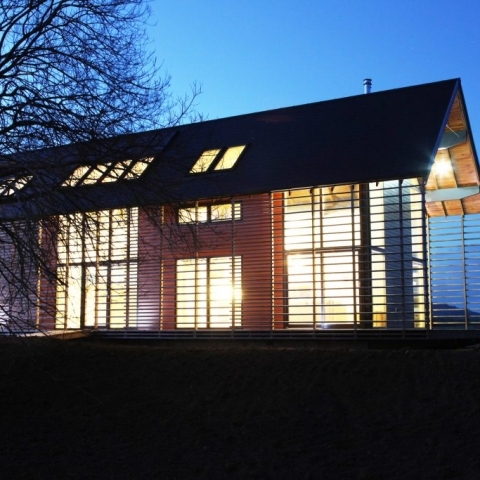 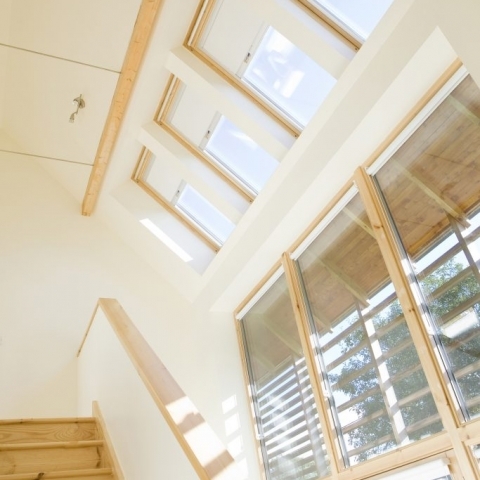 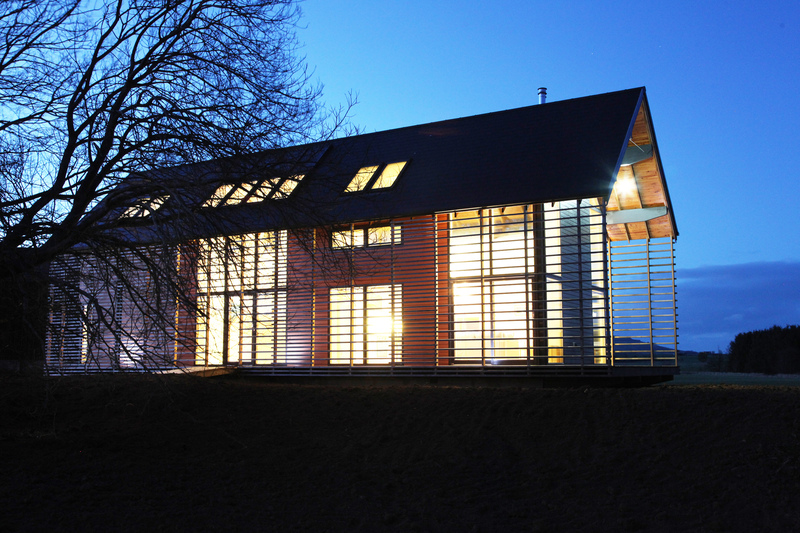 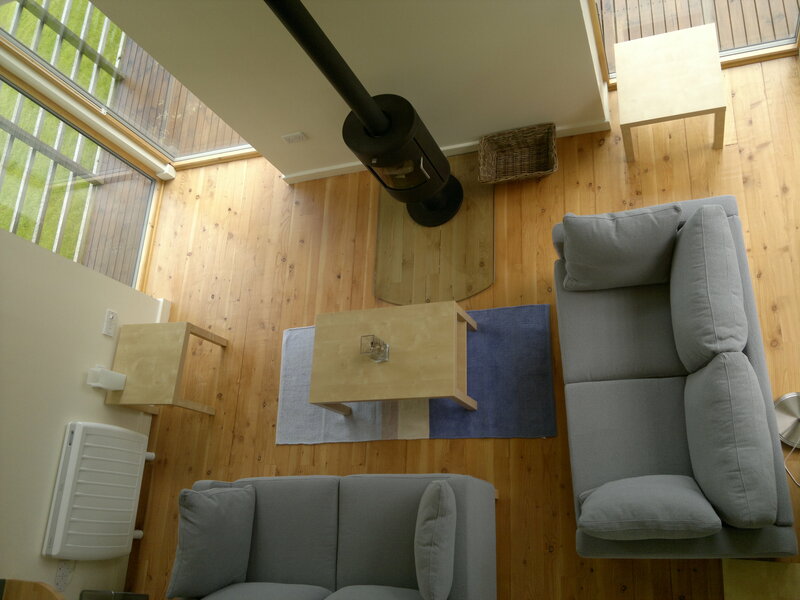 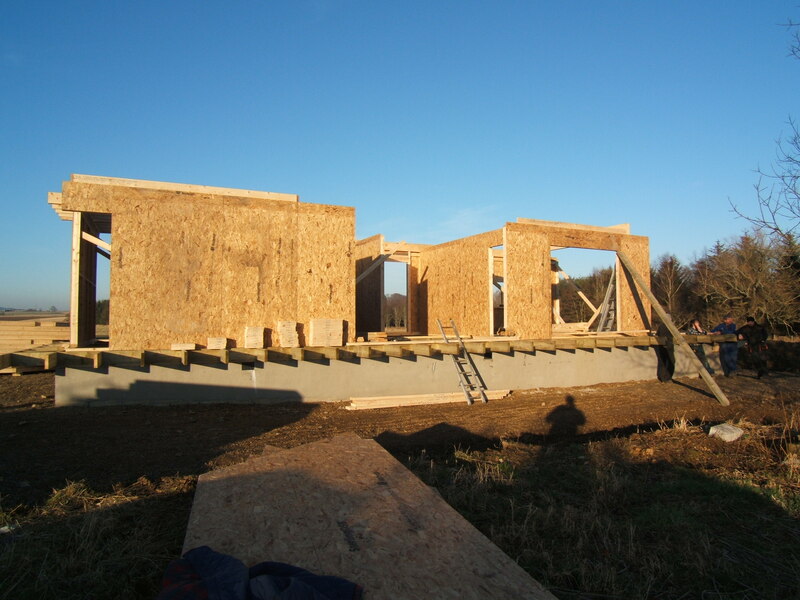 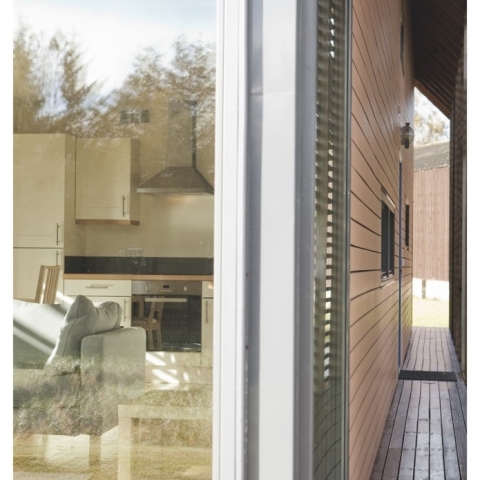 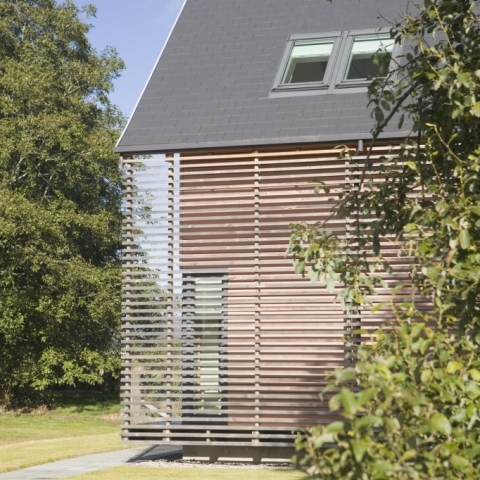 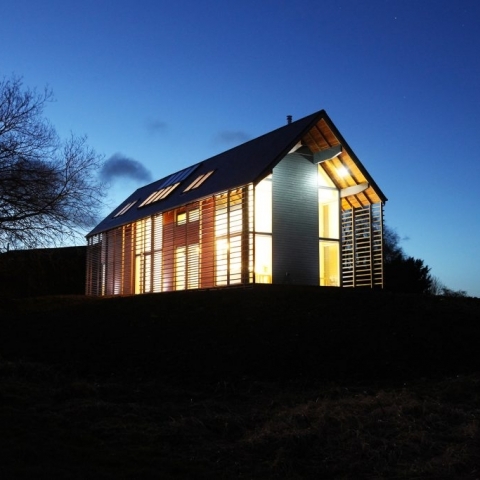 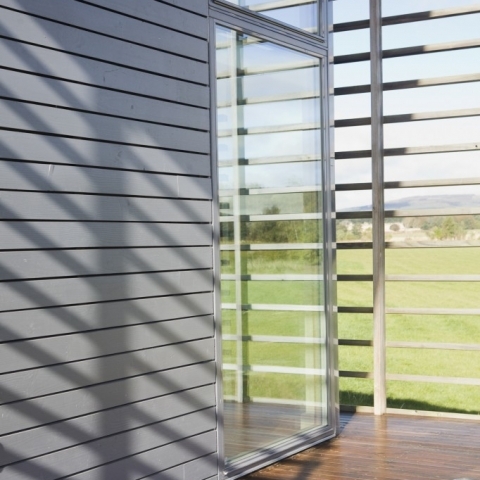 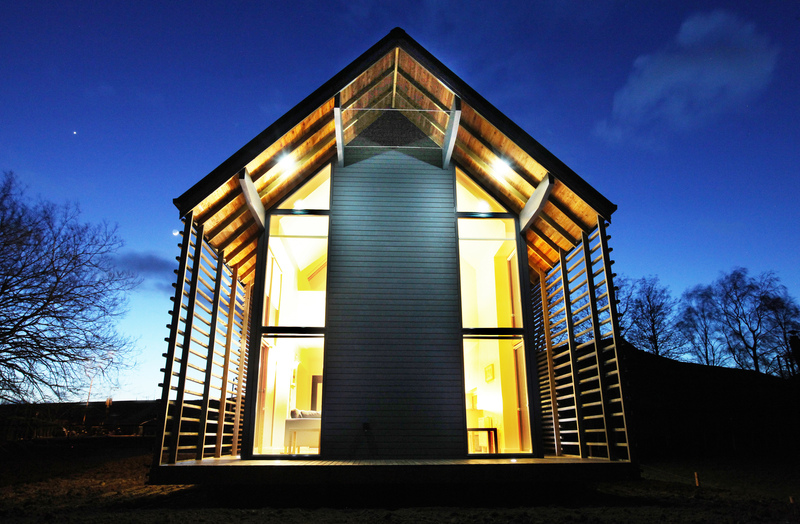 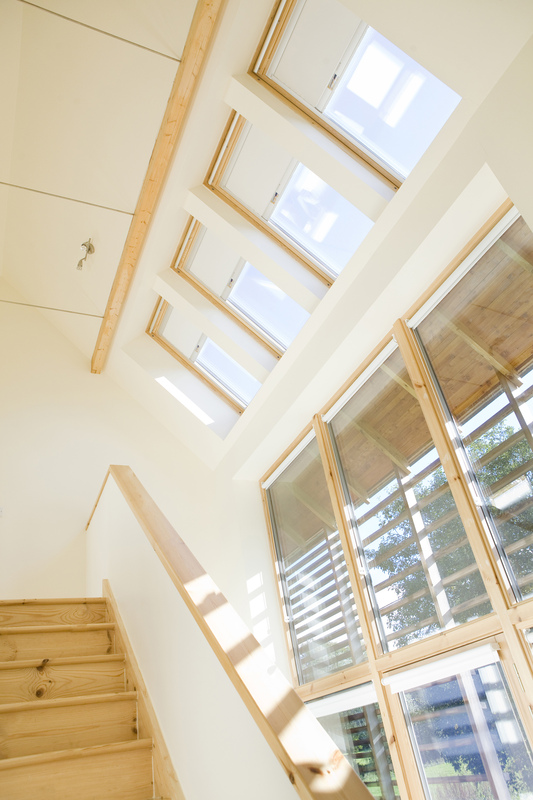 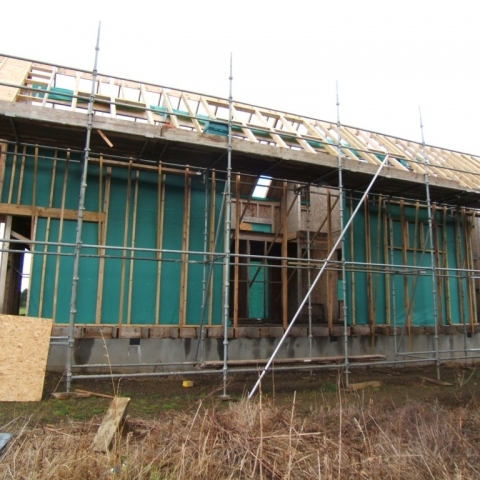 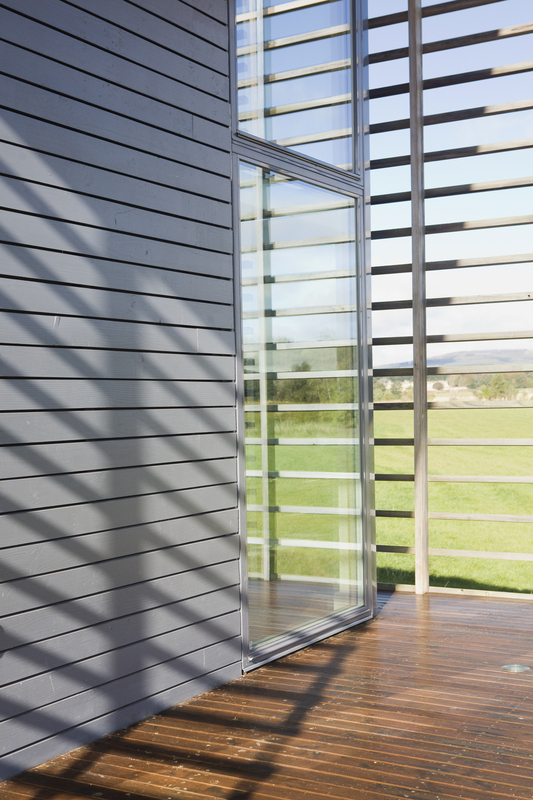 The ‘Model D’ house is a prototype for an affordable low-energy house constructed from locally available materials, which would be both cheaper and more appropriate than the standardised, kit-built homes that proliferate in the rural environment of Scotland. 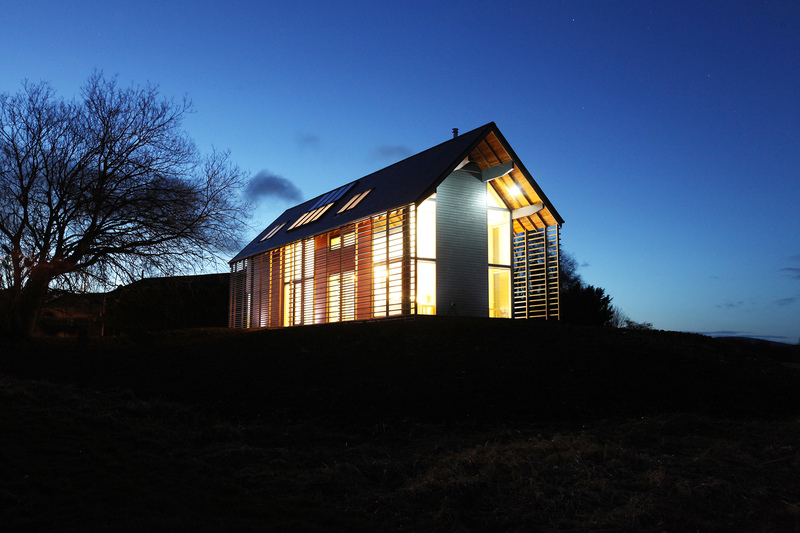 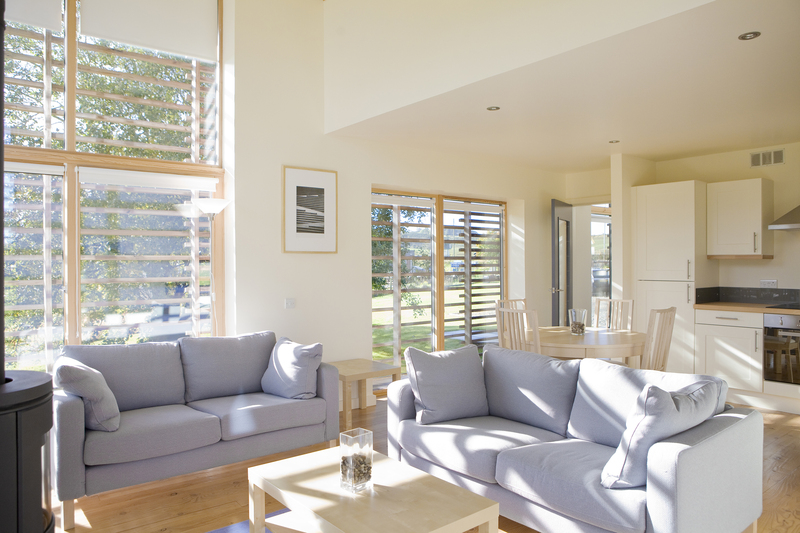 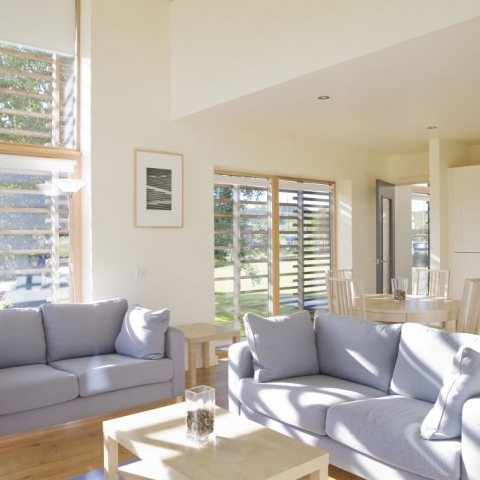 It was commissioned by Sylvan Stuart Ltd, an Aberdeenshire company that specialises in the construction of timber houses, lodges and cabins through the UK. 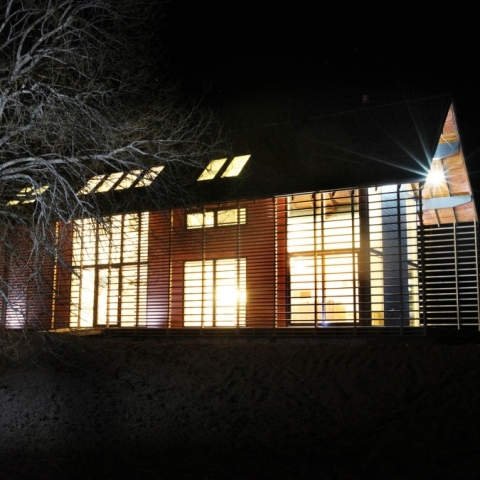 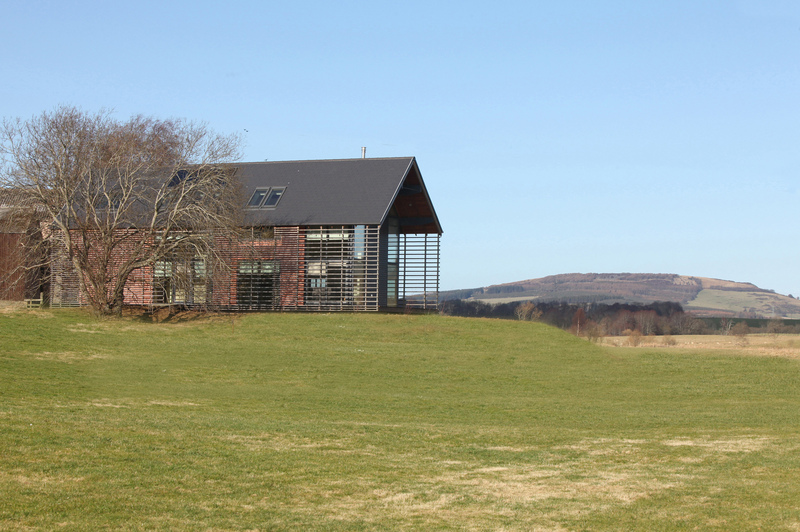 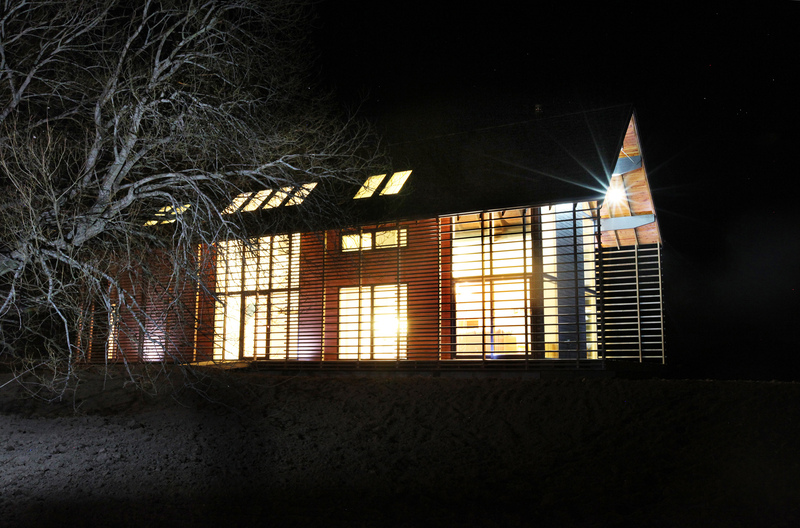 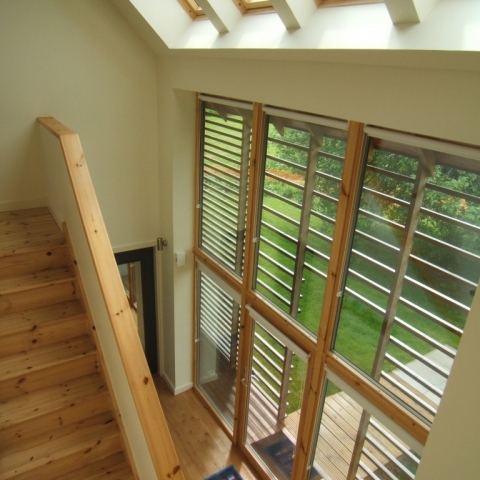 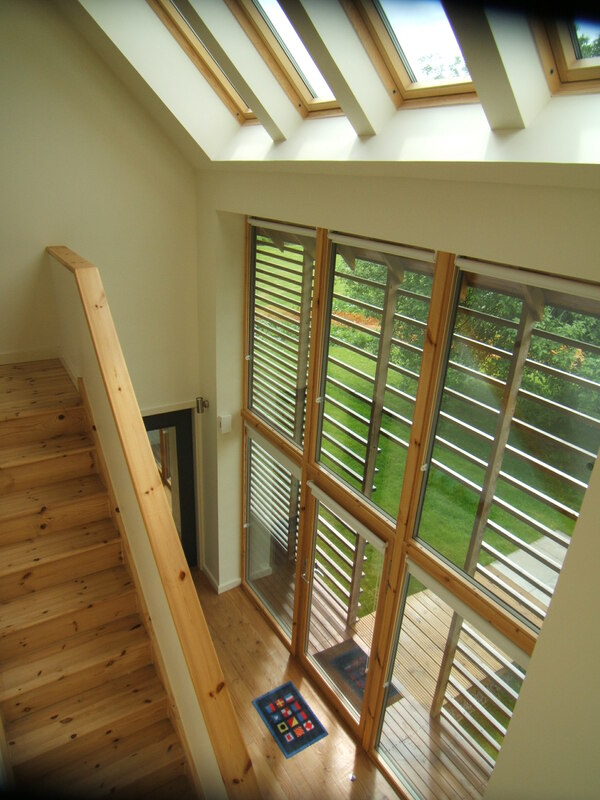 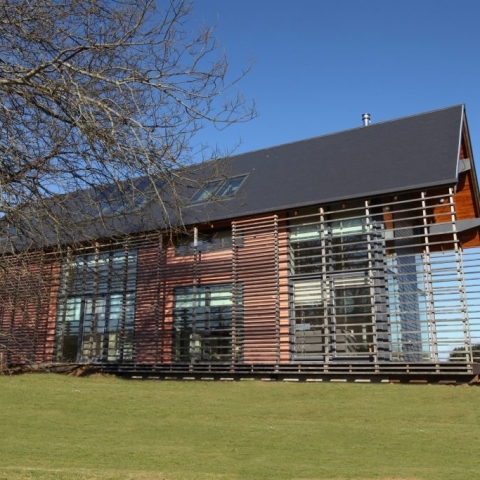 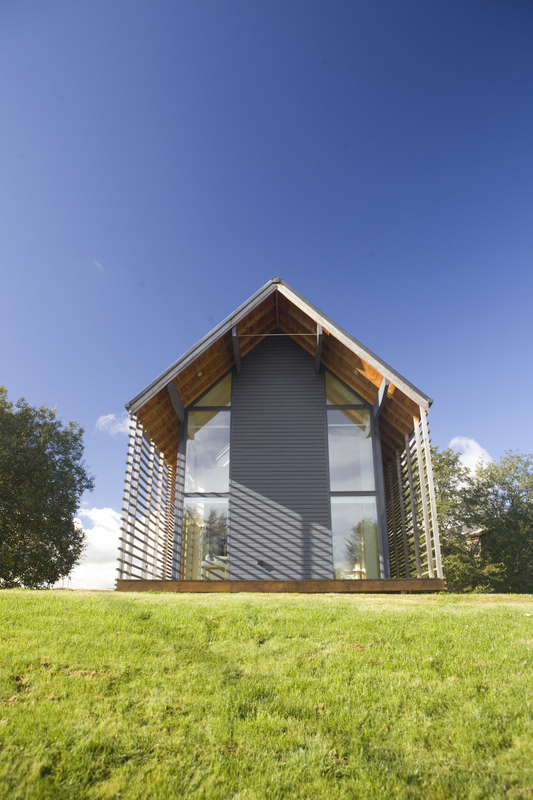 The building was completed in February 2011, and received the RIAS/RIBA and Saltire Housing Design Awards in 2012. 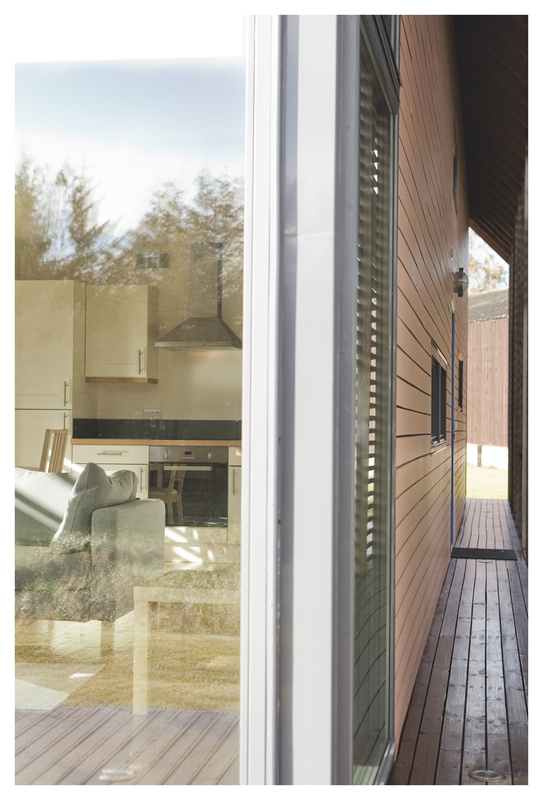 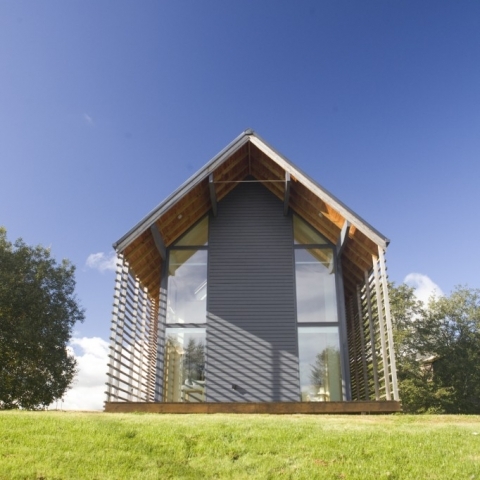 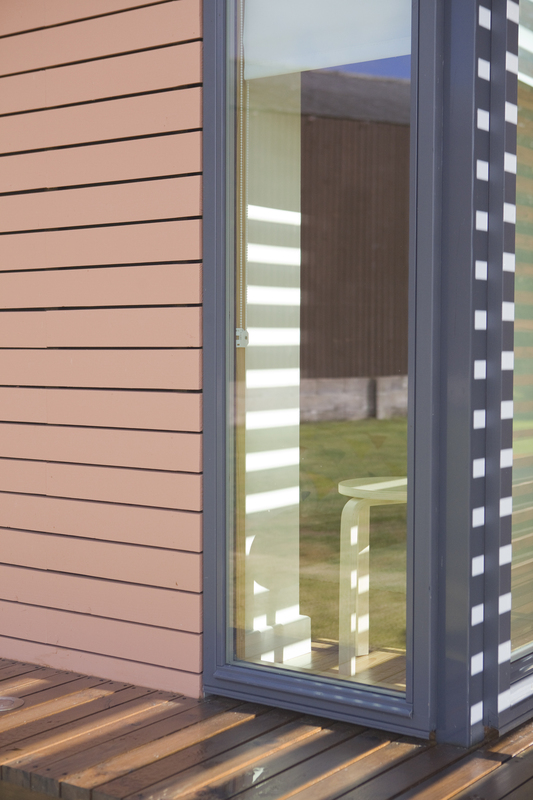 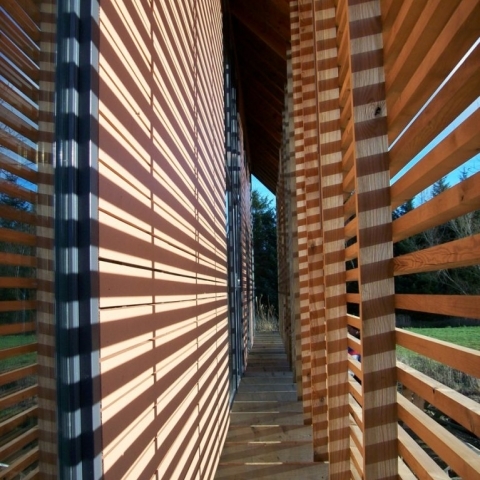 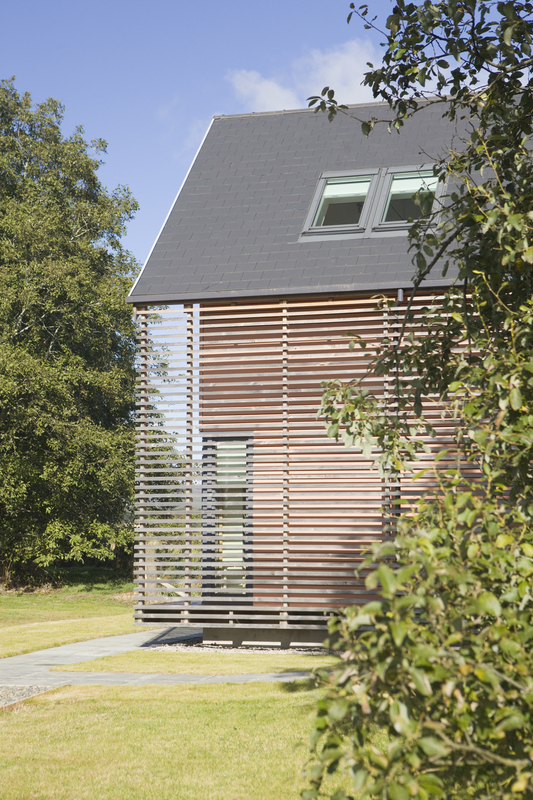 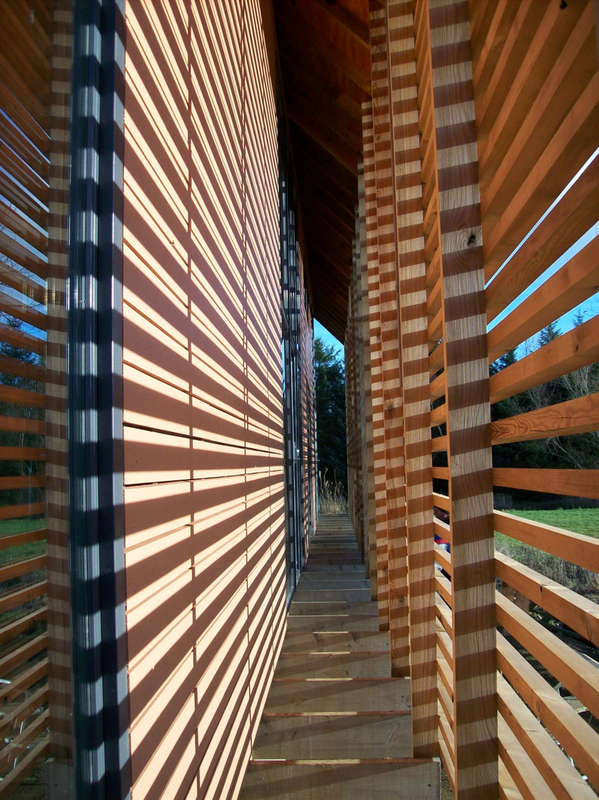 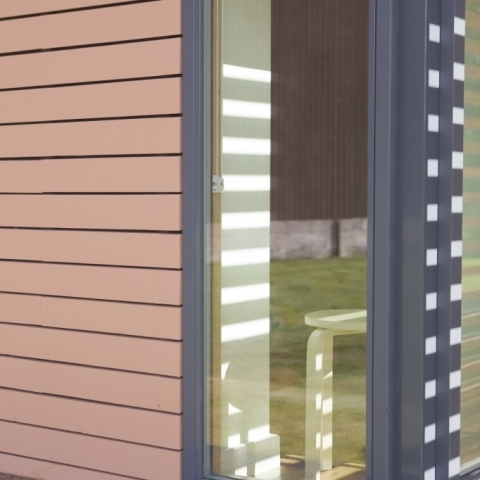 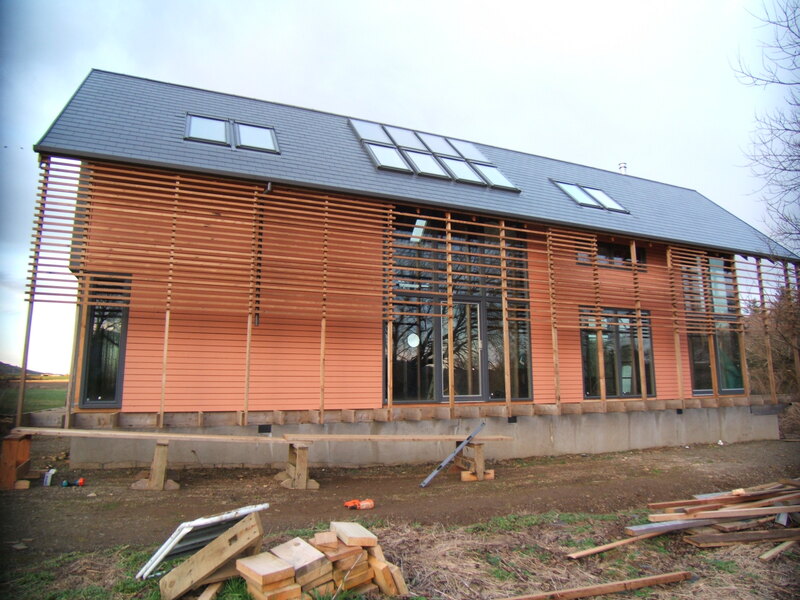 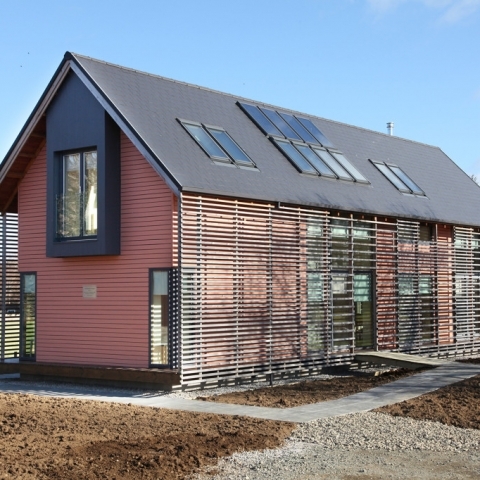 It demonstrates the innovative and creative use of home-grown timber, costing less than £950 per square metre to build. 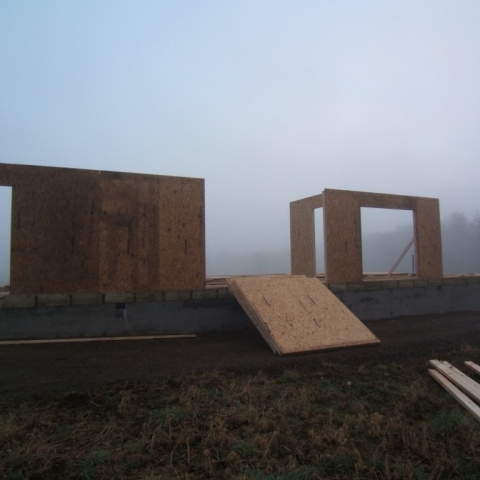 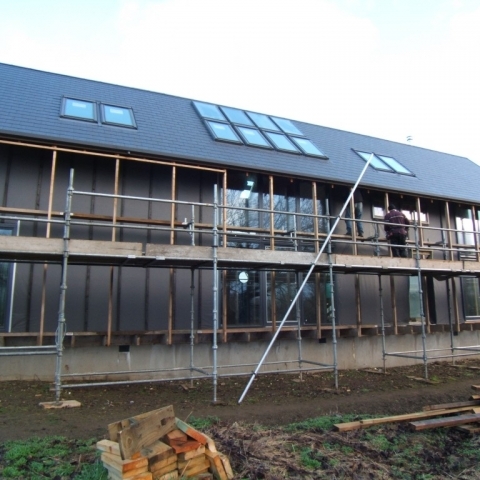 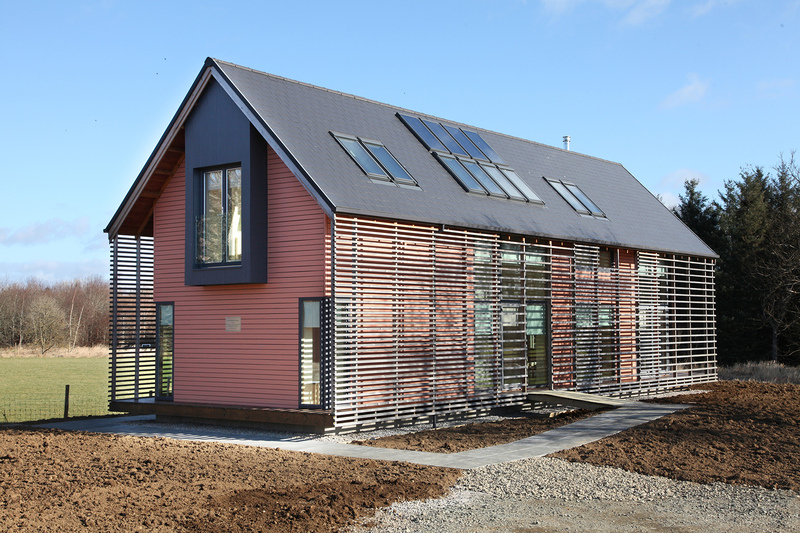 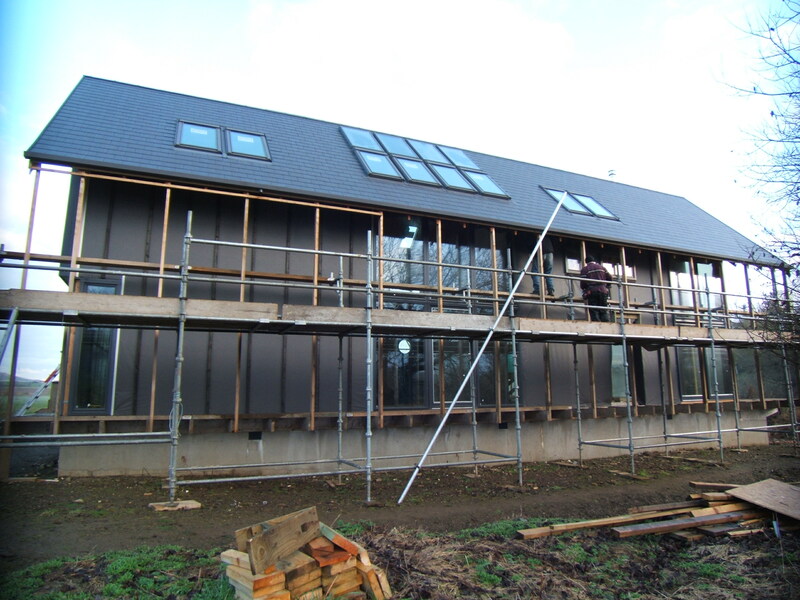 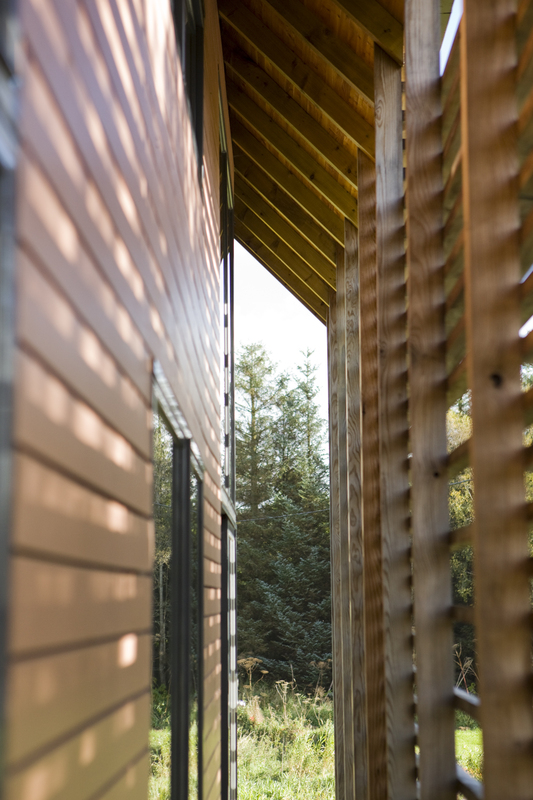 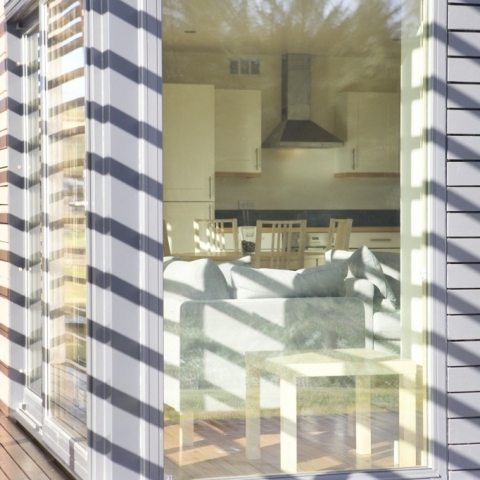 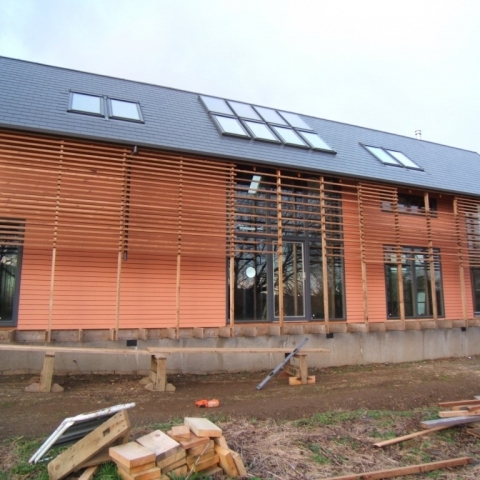 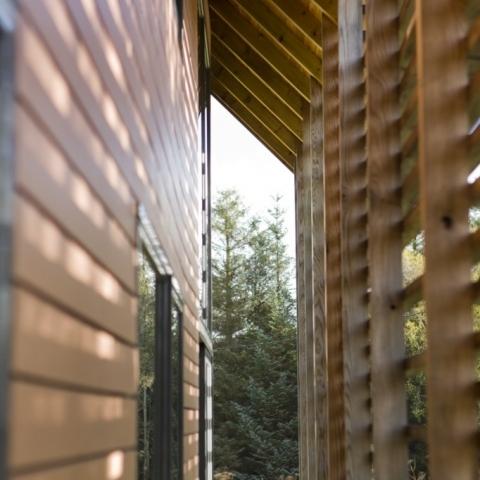 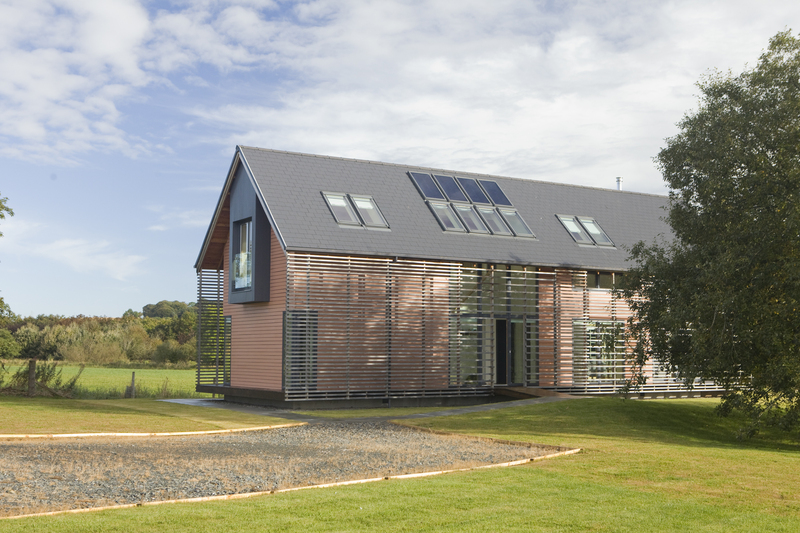 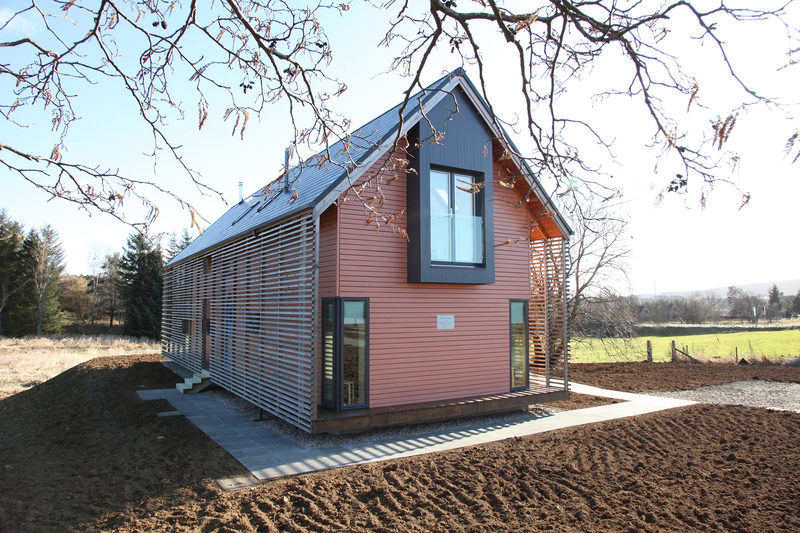 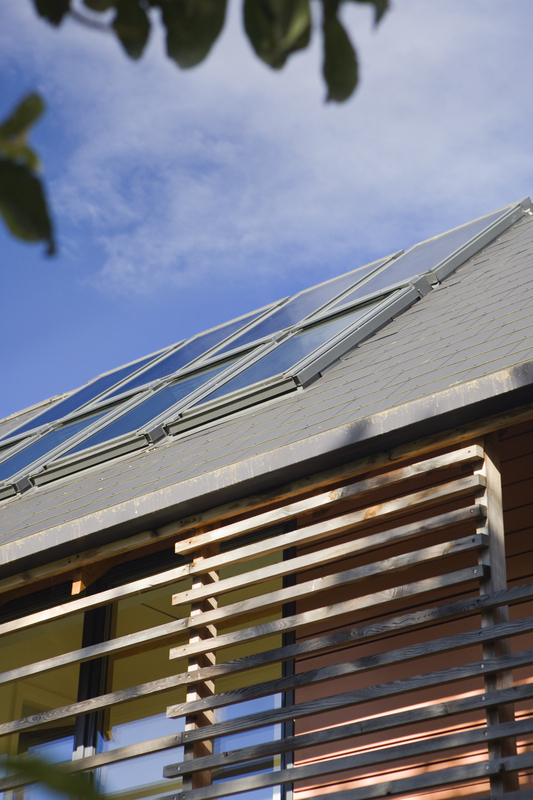 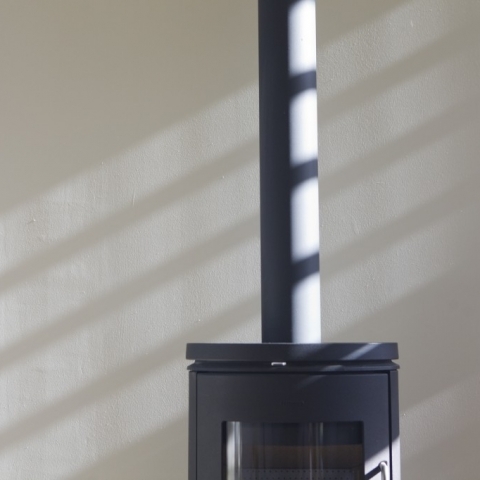 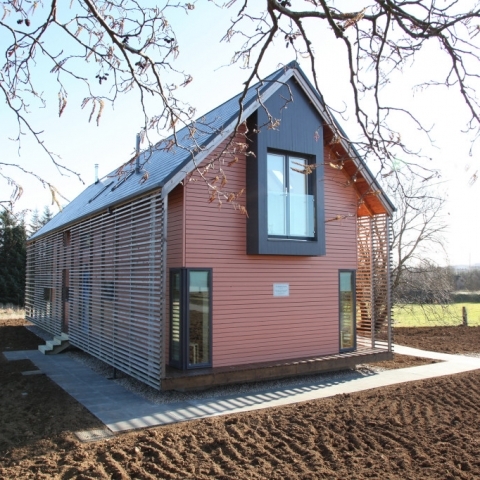 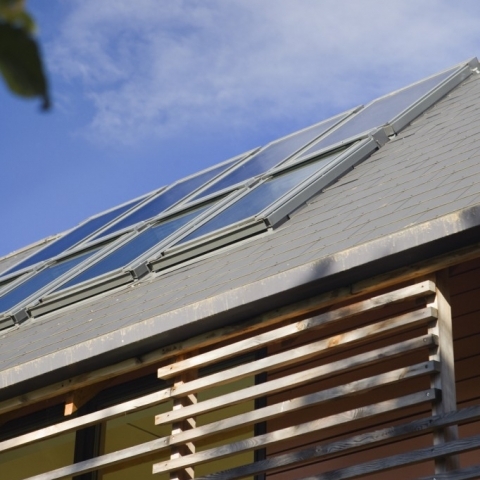 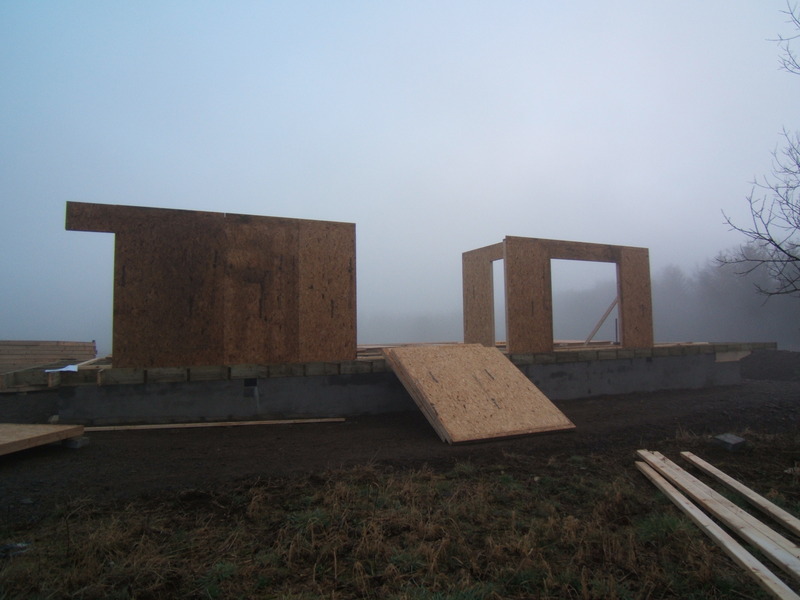 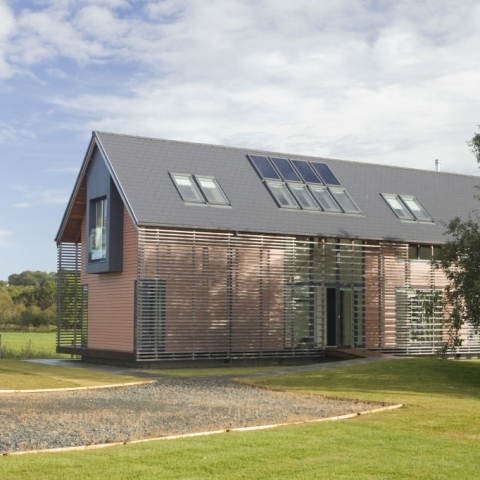 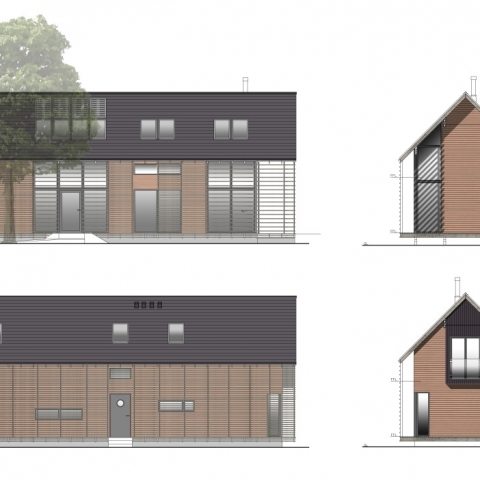 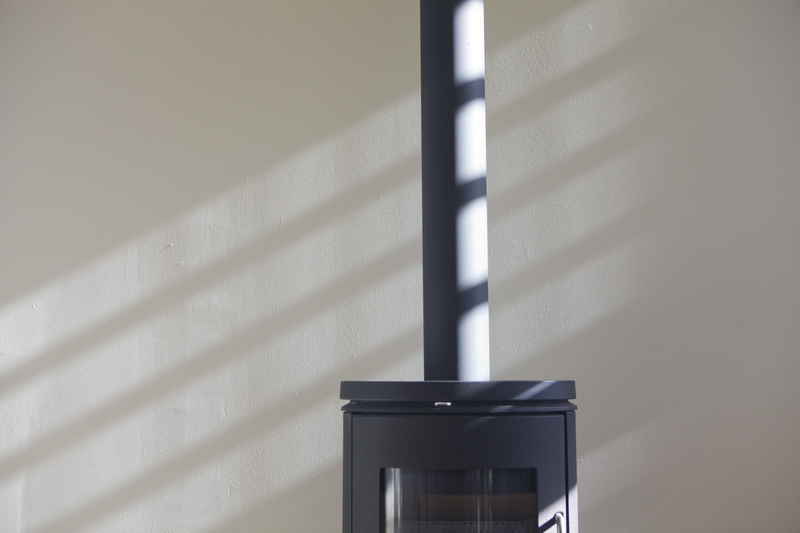 The Model-D House offers a viable and affordable housing option for rural communities where fuel poverty is a major concern with the rising costs of energy. 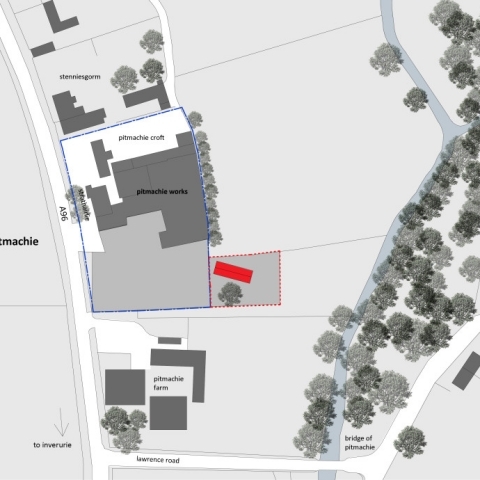 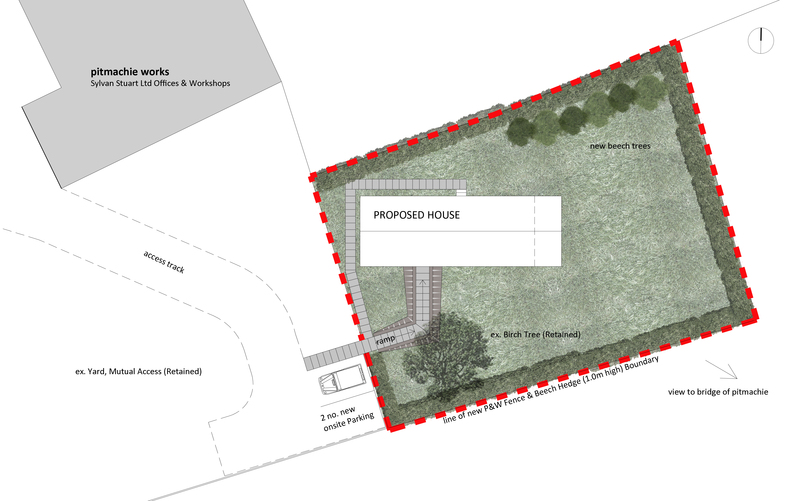 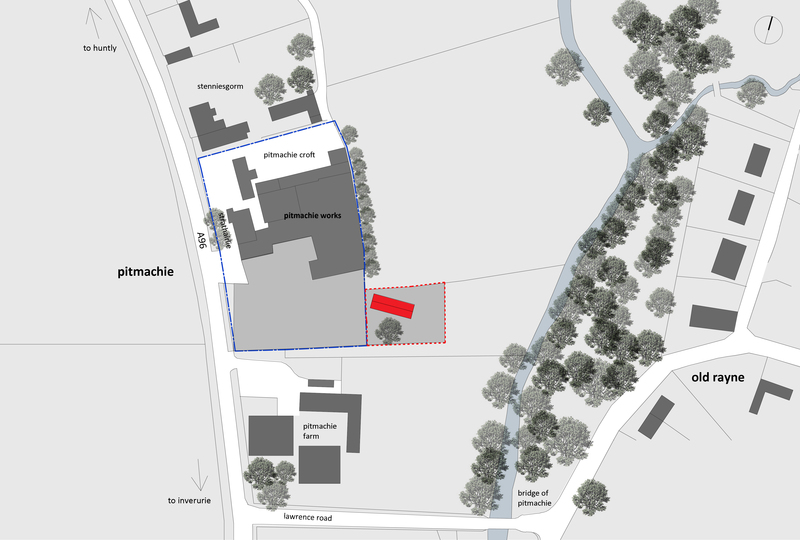 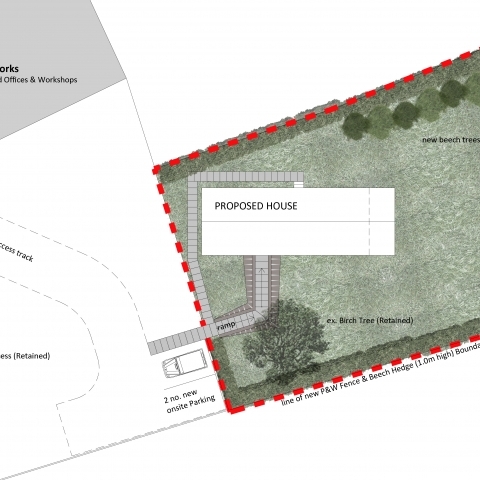 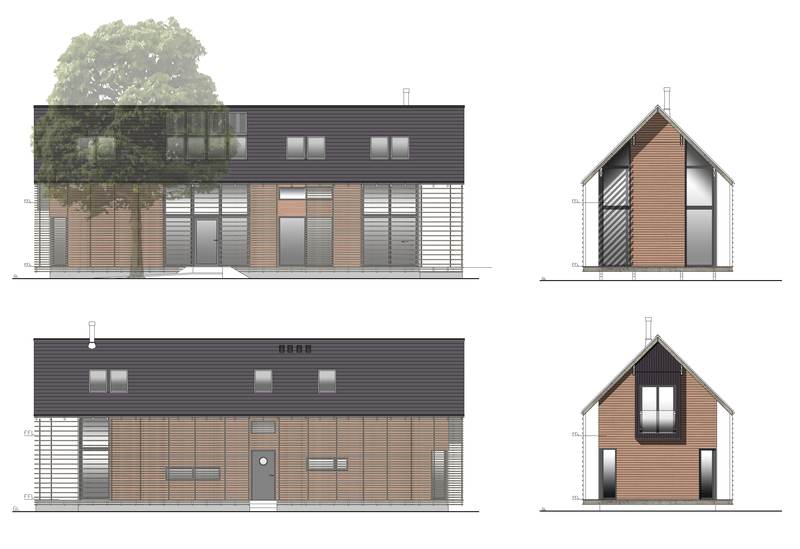 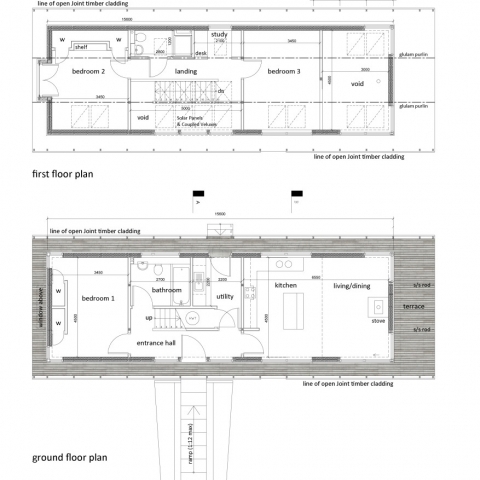 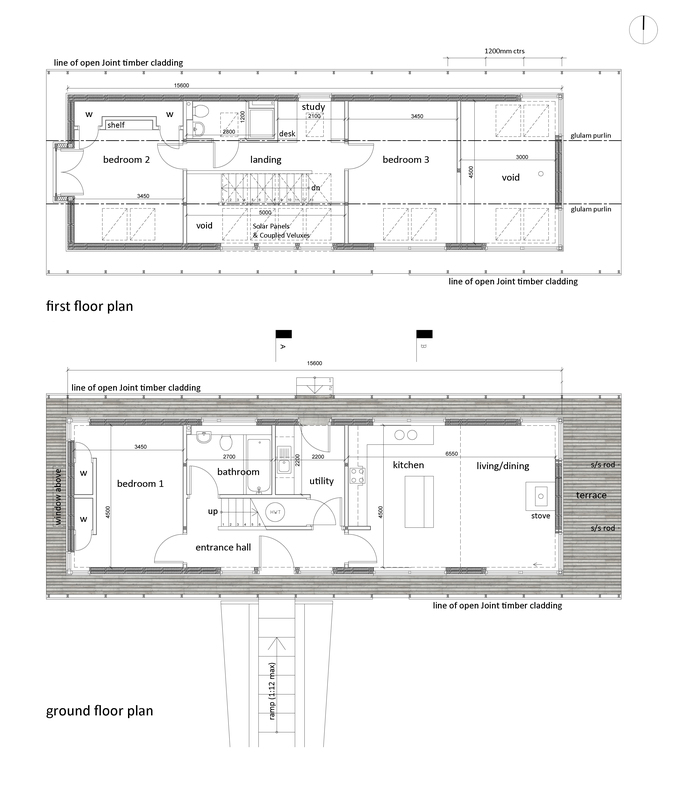 The plan layout is adaptable, and the current accommodation comprises a double-height open-plan living, dining and kitchen area, a workspace, two/three bedrooms, a shower-room and bathroom over a 1¾-storey layout. 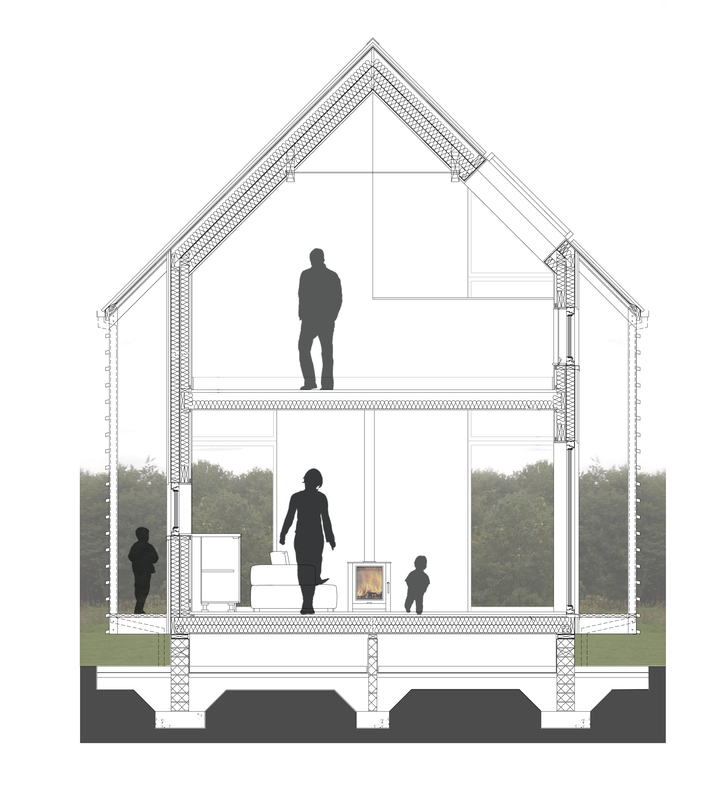 The design seeks to stimulate revisions in our current thinking about the affordable rural house design. 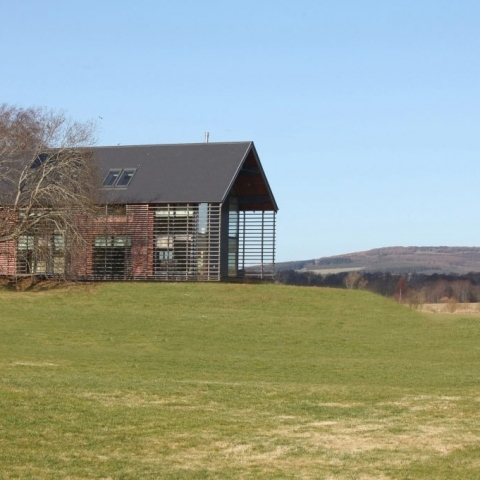 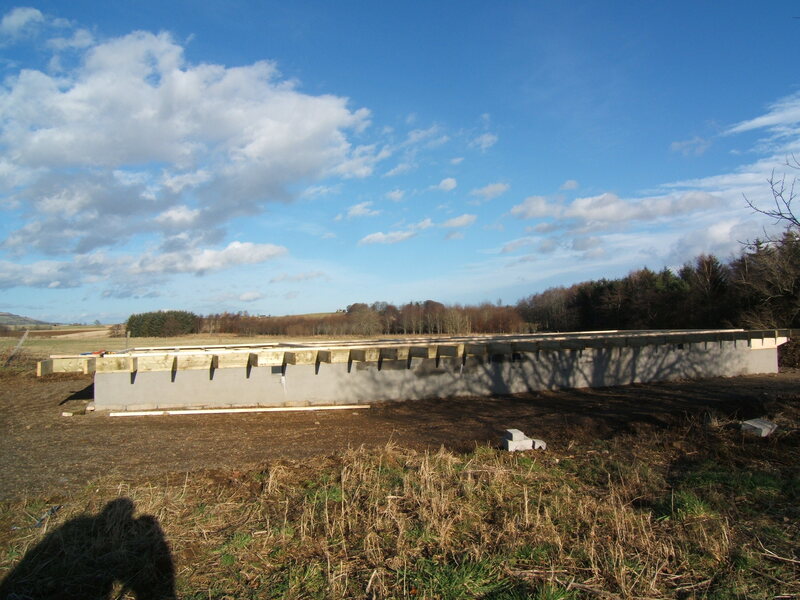 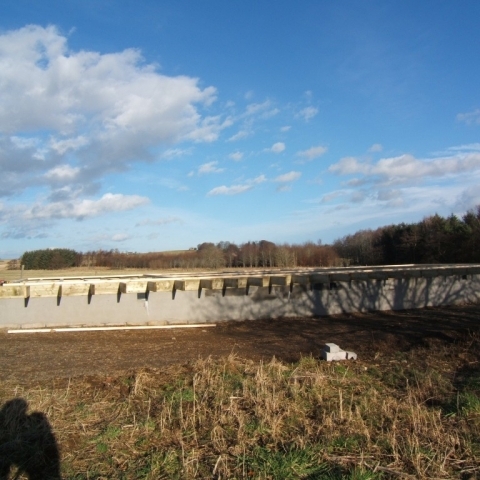 The architectural language of traditional north-east agricultural buildings has been adopted. 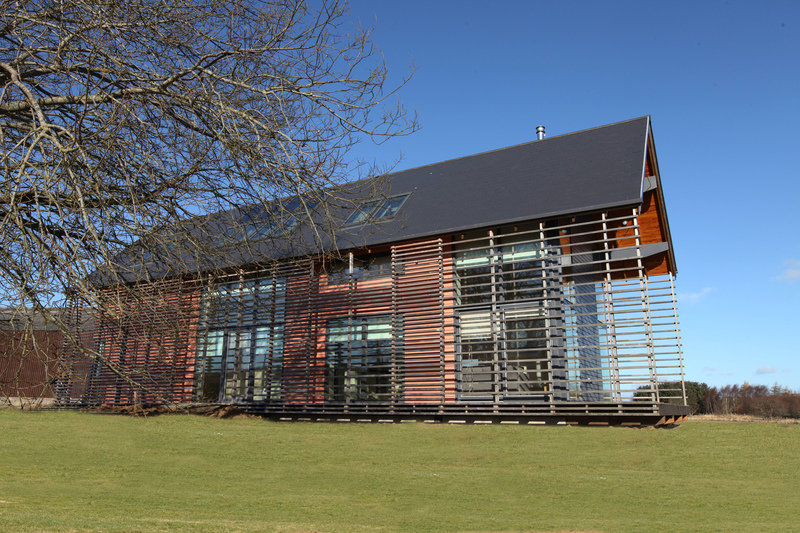 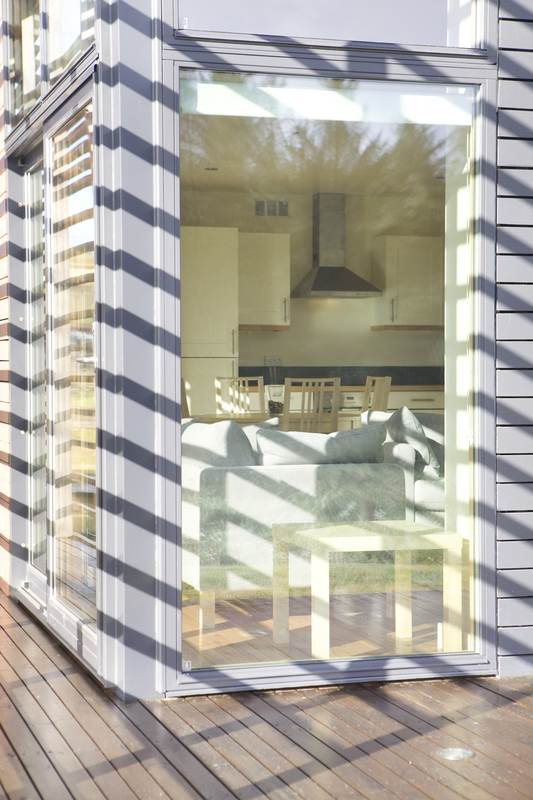 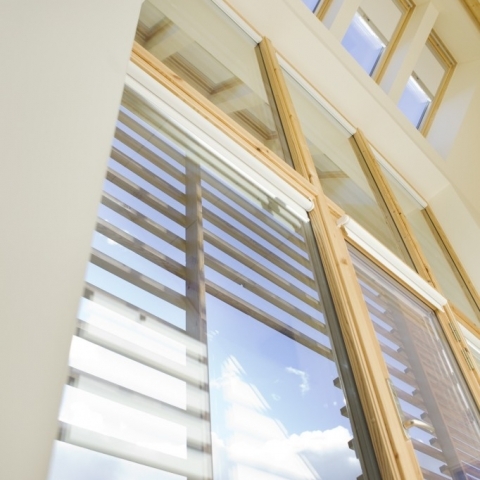 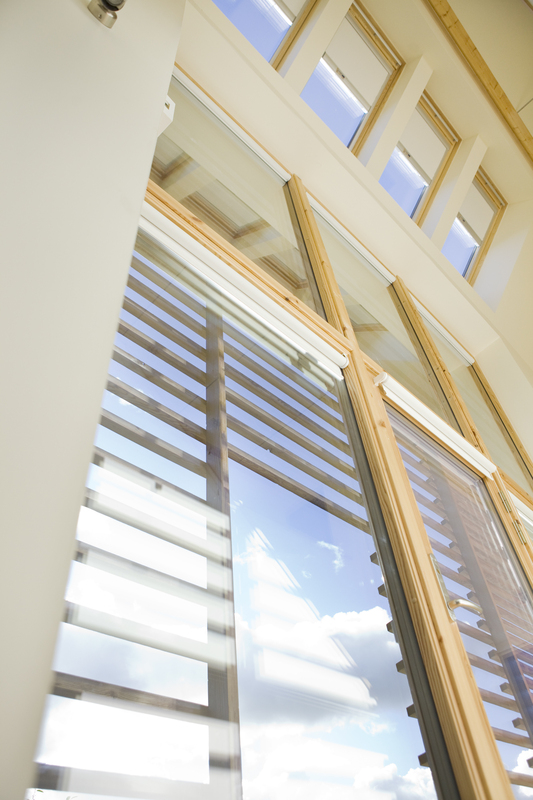 The large window openings in the south facade take advantage of the solar gain, and maximise views at the same time expressing the building’s contemporary domestic credentials.